ON October 11, 1944, HMS Formidable was working up out of Gibraltar in preparation for her imminent deployment to the Pacific. She was at sea with a passenger list of notaries, WRENS and WAAFS aboard when a strange sound was heard coming from below decks. About 11am, the noise and the sight of worried engineers running about the ship set the rumour mill into overdrive. Eventually it was established that the centre shaft’s gear wheel had been stripped. The 45 ton, 12ft high cog had been made of a less than ideal material due to war shortages in U-boat beseiged Britain. Formidable was to pay the price. The only spare was in the dockyards of Barrow and replacing the vital component would involve ripping up a portion of the armoured flight deck – and every deck between it and the engine room. Formidable’s crew set about the task with urgent gusto: As soon was the order received to dock in Gibraltar and await the spare part, the crew set about ripping up armour plate and steel frame even before the unprepared and startled dockyard workers had a chance to read their new orders. The carrier was to remain at Gibraltar until January 14, her role with the Pacific Fleet unavoidably delayed. Once repairs were completed, Formidable took aboard the Avengers of 848 Squadron and the Corsairs of 1841 Squadron and steamed through the Suez Canal with the destroyers HMS Sumarez and Vigilant. On February 22 she left the refuelling station of Ceylon with HMS Napier and Urchin and headed towards Fremantle, and then Sydney. After an 11 day stopover in the harbour city, Formidable set sail again - this time to join the British Pacific Fleet. She carried with her 12 Avengers, 26 Corsairs and six Hellcats.With the cruiser HMS Uganda and the destroyers HMS Napier and Urchin, the small group picked up three more destroyers - HMS Undaunted, Ursa and Pheasant - before they arrived at San Pedro Bay on April 4. After a frantic two days in Leyte, Formidable’s captain heard of the damage done to HMS Illustrious. Formidable was now on a fast-track to join the task force on the front line. On April 10, she left Leyte with ships of the Supply Group to join HMS Indomitable, Indefatigable and Victorious at a resupply rendezvous. The absence of Task Force 57’s battleships and cruisers left the carriers exposed, with minimal point-defences in the form of destroyers and greatly reduced sets of “eyes” in the form of radar. The harried carrier radar operators did not have any contact on their screens for a 20 mile radius when the first kamikaze plunged out of a layer of cloud at 1131. On HMS Formidable’s deck, a park of 11 Avengers was being moved forward to of the crash barriers to allow expected returning CAP fighters to land. Two of Formidable’s Corsairs had just been launched to assist in spotting for the battleship force bombarding Miyako island, but these were quickly ordered to help defend their mother ship. The Zeke emerged at 3000ft about a mile astern. 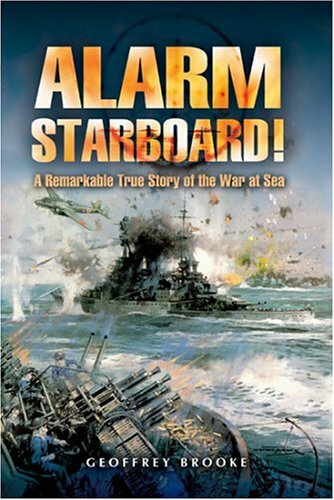 Some accounts state Formidable was so surprised the kamikaze was not immediately engaged. With only the destroyers available to supplement the carriers’ own air defences, the barrage would regardless have been particularly light. 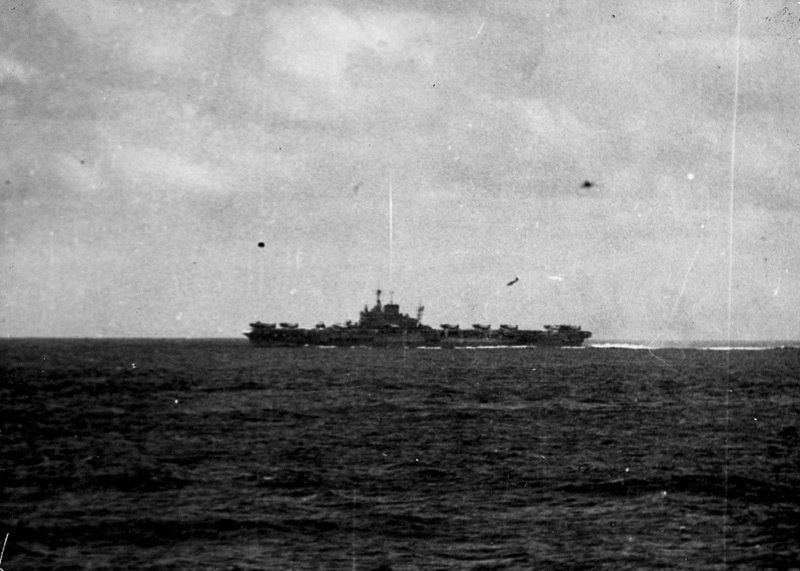 The carriers and their escorts began a high-speed turn to starboard to throw off the attack runs. Inexplicably the Zeke strafed the length of the flight deck from astern before pulling around to starboard after clearing the bow. It is possible the pilot had misjudged his speed and approach and was thrown out of position for an effective attack run by the carrier’s hard turn. Formidable put her helm even harder over to make it more difficult for the Zeke to loop back for another attack as her defensive armament finally opened fire. Aircraft handlers and aircrew scattered: The flight deck had been crowded with personnel servicing and boarding the machines. Suddenly, without any warning, there was a fierce 'whoosh' of an aircraft passing very fast and low overhead and I looked up in time to see a fighter plane climbing away on the starboard side, having crossed the deck from aft at 50 feet. I was thinking casually what a stupid thing to do and that he was lucky not to get shot at, with a scare on, when the starboard bow Oerlikons opened up a stream of tracer at the retreating enemy. He banked steeply, showing the Japanese red blob markings, and flew down our starboard side, the focus of a huge cone of converging yellow balls as every close range weapon on that side began to hammer away. I thought he was certain to buy it and stood watching until he passed behind the island. The kamikaze pilot tried again. The 20mm and pom-pom shells did nothing to discourage its pilot. S1 pompom found its firing arcs partially blocked by a Corsair on an outrigger in front of the mounting. S2 and S3, along with eleven twin and two single 20mm Oerlions, gave the Zeke their best shot. “A” Group 4.5 guns fired four broadsides, but this proved ineffective against such a close and fast-moving target. He flew down the starboard side of Formidable, under fire all the way, before entering a half-roll and banking steeply into another stern approach. Then the Jap came into view again from behind the island, banking hard to come in towards the ship from the starboard quarter, apparently unharmed and by now the target of fewer guns. His silhouette changed to a thin line with a lump in the middle, andhe seemed to hang in the air as he dived for the ship. I waited no more but sprinted to a hatchway some 20 yards forward on the port side. The Zeke – hit several times and on fire - managed to get into an attack position. It dived at high speed from 700 feet on the starboard quarter, releasing its bomb moments before slamming into the armoured flight deck. Reports of the bomb’s size vary from 500lb to 1000lb. The blast sent out sheets of flame which billowed to the full height of the carrier’s island, scorching paintwork and burning fittings as it passed. Splinters lashed their way through the island’s port-side offices and compartments. Several electrical cables were severed. Expecting to be blown to bits at each stride, I arrived at the hatch just after a tubby leading seaman of the AHP called Chambers, who had homed in from another angle. He proceeded to trip down the steel ladder step by step so I launched myself at his back and we fell in a heap to the bottom. At the same moment there was a flash and a great crash shook the ship. I gave it a second or two to subside, during which the light from the rectangle of sky above turned to deep orange, and ran back up the ladder. The 'dent' at the junction of three armoured plates on HMS Formidable's flight deck, with debris blocking the small puncture wound to the hangar below. The bomb landed at the junction of several armoured plates adjacent the island, some 9ft to starboard of the centreline at Frame 79. The impact and subsequent detonation forced down the armoured plates by up to two-feet over a diameter of roughly six feet, while the depression was noticeable over a total area of some 24ft by 20ft. The structural beam beneath was buckled. The actual hole ripped in the deck appears from damage control photographs to have been only a few inches wide. The commonly referred to “two-feet square” hole appears to refer to the total size of the spall that was shocked out of the interior side of the armoured plates. This spall consisted of three main pieces, the largest of which was forced downward through the armoured hangar deck, a ventilation trunk and a closed hatch before piercing a steam pipe in the centre boiler-room and coming to rest in the ship’s inner bottom after puncturing an oil tank. At the time of the explosion I was making my way forward on the Boat Deck and was just aft of P3 pompom. An enormous sheet of flame extended some ten feet over the port side of the ship and fragments of aircraft passed overhead. The hot blast was distinctly felt, and I ran forward to the sickbay and arrived there just as the first casualties were arriving. Walking in front of me was a man with the back of his shirt smouldering and I patted out the flame with my flash gloves. Within a short while the sickbay was crowded with injured men. There were a few sick men in cots and they were turned out to make room for the more seriously injured. All cots in the sickbay were soon occupied and there were injured men lying in corners and in the gangway. An Avenger close to the point of impact was blasted over the side. A second Avenger was set alight, its ammunition cooking-off close to the island. Fires soon raged out of control among the aircraft on deck and quickly spread to the handling vehicles parked on the starboard side. One Corsair and 10 Avengers in the deck park were turned into smoldering wrecks. Damage control teams were quickly on the scene, pushing burning aircraft over the side and dispersing the flaming fuel with foam. It took 20 minutes to contain the fire from the burning Avenger next to the bridge. There was a constant fear that the other Avengers – damaged by the Zeke’s first strafing run as well as from splinters from its kamikaze plunge – would explode. The 20-year-old pilot of one Avenger, which was taxiing forward at the time, escaped his aircraft with his clothes afire. He would die on May 16 aboard the hospital ship Oxfordshire. A flight deck director would also later die of his wounds some 72 hours later. All fires would be extinguished by 1155. I grabbed a foam generator nozzle from its stowage nearby and ran out the hose, indicating to a rather shaken turret-safety number who was lying down between the turrets of B group, to switch on the machine. Men began to pour up from the sides of the flight deck and I pushed the foam-erupting nozzle into someone else's hands, to go round the crews of the other machines who were getting to grips with the main fire. It was very fierce with occasional machine-gun bullets 'cooking off'. Smaller fires in the tow-motor park, fire-fighter headquarters and odd bits of aircraft scattered around were attacked with hand extinguishers. A huge rush of steam vented into the centre boiler room and out the funnel. The boiler room had to be quickly evacuated and its steam supply to the fuel-oil pump heaters and fans shut-off from auxiliary positions. Two dynamos also were shut down. The centre shaft was at first set to neutral, causing HMS Formidable’s maximum speed to fall to 18 knots – the maximum obtainable by the outer two boilers alone. But the shaft was soon restored to half power after steam was diverted to the centre engine room from the starboard boiler room, raising the maximum speed to 24 knots before 1300. Fragments from the kamikaze and its bomb tore through Formidable’s island, followed by a flash of burning fuel. Two officers were killed in the Air Intelligence Office, and all the room’s other occupants were burned or wounded. This room had, until only a few days before, been used as Formidable’s flight-deck sickbay. The Senior Medical Officer had been concerned at the exposed position of this medical facility and asked for it to be moved deeper within the ship. All of the bridge and island windows had been blown in and much of the plating compressed and scorched black by the explosions. The flaming fuel also gushed into the fire-fighting damage-control office, as well as a portion of the hangar and torpedo workshop beneath the flight deck. Rivers of fire flowed across the deck and over the side. Some spilled into trunking. From the other carriers and destroyers, HMS Formidable looked to be in a serious state. The bark of exploding ready-to-use ammunition in the burning aircraft being set off and the towering column of steam and smoke could be seen and heard for miles around. Explosions had also sent burning oil and smoking debris trailing in the carrier’s wake. As the carrier reeled from the impact, X Group of 4.5 guns spotted a second Zeke being chased through the fleet by Seafires. The two mounts opened fire and claimed to have “splashed” the Japanese aircraft. The damage was not as bad as it looked. Formidable remained under full control. She was quickly turned against the wind to reduce the flow of smoke and flames over her deck and island. Water and foam was spilling through the gash in Formidable’s armoured plates and streaming into the hangar below. Damage control teams were assigned the task of filling the wound with wood and fast-set concrete as fast as possible. Metal plates were hastily welded over the top of the patch. The fire curtains within the hangar were also discovered to be inoperable: Their motors damaged beyond repair. Only a dockyard could replace them. Only HMS Formidable's Type 277 radar remained in service: Blast damage to the island and electrical wiring had put all others out of service. As the smoke began to clear it was realised the forward crash barrier had been distorted to a point where it was unusable. The aft barrier was also damaged, but was repairable. Seven Avengers and one Corsair were judged to have been damaged beyond repair and ditched overboard. The crew cost was high, but nowhere near the level experienced by US carriers. HMS Formidable lost two officers and six ratings in the attack. Six officers and 41 ratings were burnt or wounded. One rating would die of his wounds on May 7. The comparative slightness of the damage and the speed with which it was controlled (we were landing on aircraft again by 1700) spoke very well for the steel decks of the British carriers. The American ships, with their steel and wood decks and open hangars, suffer more and this was in the Captain’s mind when he and our American liaison officer, Lieutenant-Commander B. van D. (Ben) Hedges, USNR, contemplated the damage a few minutes after we were hit. Then the radar department began to murmur and hint, and at 0950, and at 0950 reported a “bogey” at long range. Victorious’ fighters were sent off to intercept and we went to repel aircraft stations. Mine was officer-of-quarters for two twin-Oerlikon mountings on a sponson built out of th eship’s side jut below flight-deck level, on the port side and opposite the island. My time on these occasions was divided between guns and aircraft, whichever was more pressing. The loud speaker announced that Victorious’s fighters had shot down a Zeke they had intercepted seventy miles from the fleet. This was good news. The visibility was quite good too, with few clouds about. A surprise attack seemed unlikely though a steep dive from height at 500mph takes very few seconds and is often not seen until too late. We resigned ourselves to waiting – and watching. As a terror weapon these Kamikazes have a quality of their own. One gets “the full twitch” as Air Branch slang has it when, after perhaps ten minutes’ broadcast running commentary on the steady approach of a formation, one hears the announcement, “They have split up now and are very close.” Everyone (who has to stay in the open) searches the sky with his neck on a swivel. Light weapons traverse back and forth and up and down. There is not a man, streaming with sweat under his protective clothing (flame-proof balaclava, gloves, face cover, googgles and overall suit with stockings, not to mention lifebelt and tin hat) whose hands have not discovered some little piece of the equipment that needs last-minute adjustment. When at last you see the enemy and all guns are blazing it is not so bad, bug there is still something unearthly about an approaching aeroplane whose pilot is bent on diving himself right into the ship. Wherever you are he seems to be aiming straight for you persponally, and in the case of those in or near the island that is just what he is doing. We had been looking all over the sky for some minutes when I heard, above the guns’ electric motors, the sound of our own aircraft engines. The deck-park was being moved forward and I hoisted myself on to the flight deck and signed a couple past. In doing so I moved up to a position forward of the island on the port side. Suddenly, without any warning, there was the fierce “whoosh” of an aircraft passing very fast and low overhead, and I looked up in time to see a fighter plane climbing away on the starboard bow, having crossed the deck from port at about fifty feet. I was thinking casually what a stupid thing it was to do and, and the present juncture, how lucky he was not to have been shot at, when the starboard bow oerlikons opened up with a stream of tracer. The plane banked steeply. I saw the red blobs of its Japanese markings. Pom-poms joined the oerlikons and it flew down the starboard side of the ship, the focus of a huge cone of converging tracer. I thought he was certain to “buy it” and stood watching until he passed behind the island. The noise of the close-range weapons drowned the engines of the taxi-ing aircraft. Then the Jap came into sight again from behind the island, banking hard to close the ship over the starboard quarter. He was still apparently unharmed and now, out astern, the target of fewer guns; for fewer could be brought to bear at that angle, a fact he probably knew. His silhouette changed to a thin line with a bulge in the middle and he seemed to hang in the air as he dived for the ship. I had waited long enough and ran about fifteen yards forward to a hatch, down which I jumped in the company of a rather fat leading seaman. As we hit the deck an immense crash shook the ship. I gave it a second or two to subside, during which the light from above changed to bright orange, and ran up again. It was a grim sight. A fire was blazing among wreckage close under the bridge, flames reached up the side of the island and clouds of black smoke billowed far above the ship. Much of the smoke came from the fires on the deck but as much seemed to be issuing from the funnel and this for the moment gave the impression of damage deep below decks. The bridge windows seemed to gape like eye-sockets and much of the superstructure was blackened. The deck was littered with debris, much of it on fire, and there was not a soul to be seen. Men soon poured up from the side of the deck and the work began. The main fire was very fierce and occasional machine-gun bullets “cooked off”. The smell of fire mingled with the indescribably disgusting smell of the foam-compound. Subsitiary fires in the towmotor park, fire-fighting headquarters (!) and elsewhere were attacked by hand extinguishers. Unburnt aircraft were pushed clear, casualties were carried below, and after about half an hour everything was under control. Additional hands and foam-compound arrived from below and large pieces of smouldering wreckage were ditched by crane. In the middle of all this there was another Kamikaze alarm and we took cover while two attacked Indomitable. One of these was blown up by gunfire a hundred yards from the ship and the other hit her at an angle so low that the airaft skated down the deck, which was luckily clear and dropped over the side. The Kamikaze which hit us had carried a 500lb bomb and it is thought the pilot released it just before he struck. A slice of bomb about (1ft by 9in by 4in) went straight downwards and came to rest in a fuel tank. On its way it buckled a hangar fire curtain and penetrated an emergency steam pipe which filled the centre boiler-room with steam; one or two valves had to be turned very promptly before that space was left to the scalding steam. It was this large and persistent splinter which was responsible for the volumes of black smoke and the thin white streamer of steam from the funnel, and for the reduction of our speed to eighteen knots. The work of filling the hole with steel plate and rapid-hardening cement and of making one aircraft barrier work again by hand tackle began, and the repair of damaged electrical, radar and signalling equipment was put in hand. By 1700 these and machinery repairs were to be so far advanced that the Captain could tell his Admiral that we were capable of twenty-four knots and of landing-on our aircraft. When the next alarm-to-arms sounded I went up to my guns to find them deserted; no target officer and no crews. A nasty suspicion that they had become casualties was confirmed by one of the nearby pom-pom crew who said that the target officer was dead and that all the seamen were wounded. When one considers the appearance of the deck immediately after the incident our casualties seemed comparatively light. Two offices and six men were killed and six officers and forty-one men wounded. One Avenger – its pilot and the petty officer directing it – died of their wounds later – blew up with the Kamikaze and seven other aircraft on deck were completely burnt out. Other aircraft on deck were damaged. All the small tractors were destroyed and aircraft thereafter had to be moved by man – and jeep-power. 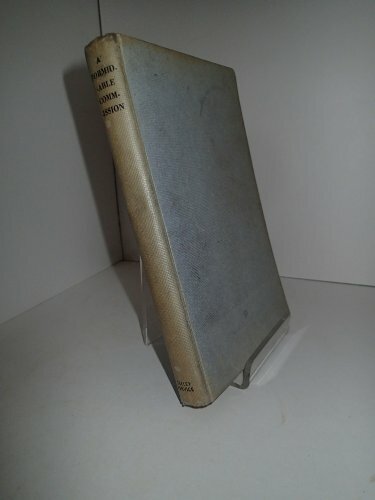 The fact that the Japanese pilot coldly decided his aim was not good enough and went round again points to a high standard of training among suicide pilots. This fellow dealt with himself very thoroughly too, for he scattered his pieces all over the place. The wrist-watch found far away on one of his hands had stopped and the gunnery officer was at one stage seen poking pieces of him off the funnel with a long stick. Rapid-set concrete and timber-infill made good the 'dent' in HMS Formidable's armoured flight deck within hours of the direct hit by a 500lb bomb-wielding kamikaze. By the time Admiral Rawling’s bombardment force returned to the fleet, HMS Formidable would have her fires out and work well underway in patching up the dent in her flight deck with rapid-set concrete and steel plate. Block-and-tackle was being employed to bend the aft crash barrier back into shape. Four hours after the explosion, engineering crews succeeded in entering the centre boiler room to shut down both boilers. The damage was fortunately relatively light and repair work was able to begin immediately. The dynamos were quickly restarted. The 13 of Formidable’s Corsairs in the air at the time of the attack were forced to land on the other fleet carriers. At 1700 Captain Ruck-Keene signalled Admiral Vian that Formidable was ready to land aircraft once again – albeit with only one functional crash barrier. Nevertheless, four of her Corsairs would spend the night aboard Victorious. Work would continue through the night. Access doors to the port boiler room had to be removed and hammered back into shape, and two ducting fans restored to service. Under cover of darkness, when the oil slick was not likely to give away the fleet’s position, the fouled fuel from the damaged hull tanks was pumped over the side. Shortly after 0200 on May 5, the centre boiler room was reconnected to the centre engine room and shaft. Formidable was once again able to make full power. HMS Formidable on fire after the kamikaze strike. The three tones of grey in the smoke rising from the ship tell different stories. The grey is from the burning wreckage of aircraft and fuel on the flight deck. The black oily soot is from Formidable's funnel. The white is steam being vented via emergency systems from the damaged central boiler room. It was a grim sight. At first I thought the kamikaze had hit the island and those on the bridge must be killed. Fires were blazing among several piles of wreckage on deck a little aft of the bridge, flames reached right up the side of the island, and clouds of dense black smoke billowed far above the ship. Much of the smoke came from the fires on deck but as much seemed to be issuing from the funnel and this gave the impression of damage deep below decks. The bridge windows gaped like eye sockets and most of the superstructure was burnt black. The flight deck was littered with debris, much of it on fire... Generally speaking the foam machines - both old and new - did good work, some blistering and almost too hot to touch. Soon there were pools and mounds of foam all over the place and the pungent smell everywhere. Large reserves of manpower materialised which did sterling work under the Commander, dragging heavy lumps of scrap iron that had been aircraft to the cranes, bringing up fresh drums of foam compound, refilling hand appliances, and generally helping to clear up. With reserves in the Fleet Train we could not tie up hangar space unprofitably and whole though badly damaged aircraft were ditched without ceremony (except for a rush for the clock!). A boat deck crane would be trained over the flight deck to collect the load on a tripping hook; the crane would be swung over the sea and the hook tripped for a fine splash. In the middle of this there was another kamikaze alarm and we all took cover while two attacked the Indomitable. One blew up, disintegrated by pom-poms, about a hundred yards off the ship, and the other hit at such a low angle that he- merely skated down the fortunately clear deck and over the side. The kamikaze which hit us carried a 500 lb bomb and it was thought (there were no living witnesses) that the pilot released it just before he struck. By bad luck the bomb had caught the point of intersection of four armour plates, a very persistent slice about one foot by nine inches going down through several decks to come to rest in a fuel tank. On its way it wrecked the barrier operating machinery, bucked the hangar fire curtain and cut a steam pipe which filled the centre boiler room with steam. One or two valves had to be turned very quickly before the area was left to scalding steam. This one splinter had reduced our speed temporarily to 18 knots and been responsible for much of the smoke that had towered above the ship. Shipwrights were soon at work filling the hole (about two feet square with an 18-inch depression over 16 feet) With rapid hardening cement and steel plate, engineers were getting one barrier operable by hand (turret crews from the two forward groups were to haul it up and down with large tackles) and work on radar and Communications damage was under way. Considering the appearance of the deck immediately after the incident, our casualties seemed comparatively light: two officers and six men killed and 45 wounded. The Air Engineer Officer (Lieutenant Commander Knox) lost an eye and sadly the stalwart Petty Officer Lambe of the Aircraft Handling Party later died of wounds. Lieutenant Berger was killed in the Operations room, and a steward in the Bridge Mess, which was punctured by shrapnel. A pilot was killed in an Avenger on deck. Another Avenger (the one Lambe had been directing) and the kamikaze himself were blown to smithereens, and seven more aircraft on deck burnt right out. The Jap pilot had started his initial dive at the ship, but finding that he was overshooting the bridge decided to pull out (luckily for most of us originally on deck) and, after firing a cannon burst, had come round again. His coolness and audacity, to say nothing of skillful handing of the machine, were indicative that high class pilots were being used on suicide missions. Several bits of lap pilot and aircraft were found. I collected a piece of tire, cannon shell, and part of his bomb-release mechanism; someone found his hand with wristwatch still on it (though not going! ); a yellow silk jacket was discovered for’ard and Guns was to be seen during the general clean-up poking bits of Jap off the funnel with a long pole. When things had quietened down I remembered, with grim amusement, an extraordinary feeling I had experienced when running for the hatch. It was that my knees were made of water, my feet of lead and that my real self was yards ahead of my body left floundering along behind! Actually I was probably running as fast as I ever had. (This was quite forgotten until reading Sir Roger Bannister’s account of his epic four minute mile, when he described the same sensation; presumably something to do with willpower.) Though she could do 24 knots by 13.00, we could not fly off any more strikes that day (the 16 Corsairs aloft when we were hit roosted temporarily elsewhere). However, life continued potentially eventful. Though Indom’s main radar had been put out of action her fleet fighter direction team under Captain E. D. G. Lewin functioned with great skill so that eight Jap aircraft were shot down in four different attacks. All the carriers had a hand and no enemy aircraft got through. Admiral Rawlings returned with the bombardment force some time before the last and highly successful sortie, when Seafires from Indefat ‘splashed’ three out of a group of four attackers and Corsairs from Victorious shot down their ‘Gestapo’ aircraft (whose job was to instruct his evil brood about which ship to dive on to). All this meant several calls to repel aircraft. The Captain was able to report by 17.00 that his ship was operational and soon afterwards all but four of our absent Corsairs landed on. We felt rather pleased with ourselves as each one bumped over the 12-inch depression in the deck, followed by a roar from the Captain of Marines to his Royals to haul the battered barrier up again. Corsairs from Victorious shot down a last enemy aircraft at supper time, lowering the curtain on an eventful day. Throughout it, the enemy, though not too successful with three hits and a near miss, had shown considerable ingenuity. It appeared that the kamikaze which got us had achieved surprise by flying very low (and so undetectable by radar) until quite close. But it did look ‘ as if they had shot their bolt for the time; next day, a repeat from the BPF’s point of view, there was little retaliation. Our four Corsairs, still in Victorious, distinguished themselves when directed on to a very high ‘Zeke’ snooper, to I splash it before returning home. 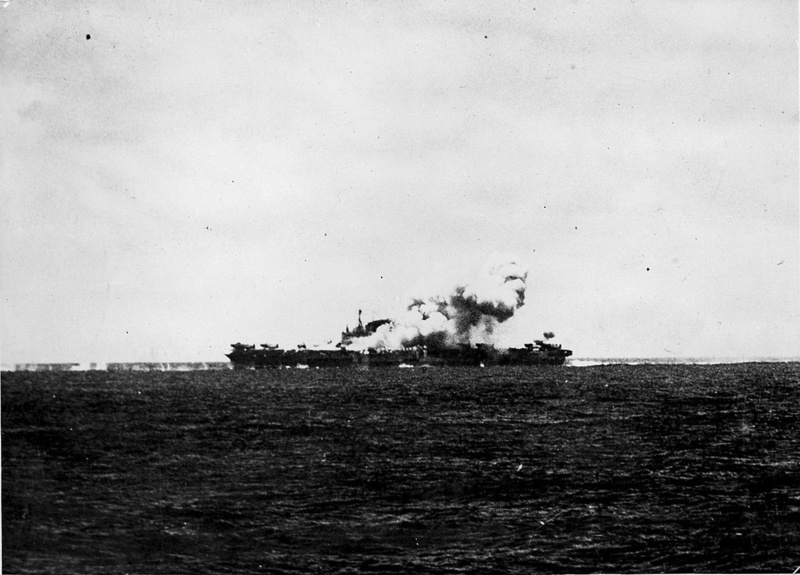 The Admiral congratulated Victorious but she replied that those responsible were ‘paying guests from Formidable’ and added ‘Nice work your flight; 40 minutes from the deck to 28,000 feet at 70 miles!’ No flak came from Ishigaki, so it was presumed that the bombardment had proved effective; yet again all runways were believed unserviceable and in the evening the fleet withdrew to refuel. It was a very busy two days for Formidable; improving the deck depression, plugging splinter holes, repairing equipment of all sorts, scrubbing and painting the island, in addition to replenishing ammunition, foam compound and the usual provisions. Not least was the transferring by crane, in large rigid cots, of over 30 wounded. The next two day refueling period saw frantic efforts to finish the repairs as much as possible. The hole was given a more substantial plating of steel and cement. Splinter holes in the island were plugged and its blackened side cleaned with boiled oil and given a fresh coat of paint. Critical radar and electrical wiring was replaced and buckled blast doors and damaged bulkheads repaired. Damaged machinery repairs in the engine room and on the flight-deck crash barriers and arrestor gear kept the engineers busy. By Wardroom Officers of H.M. Aircraft-Carrier Formidable.